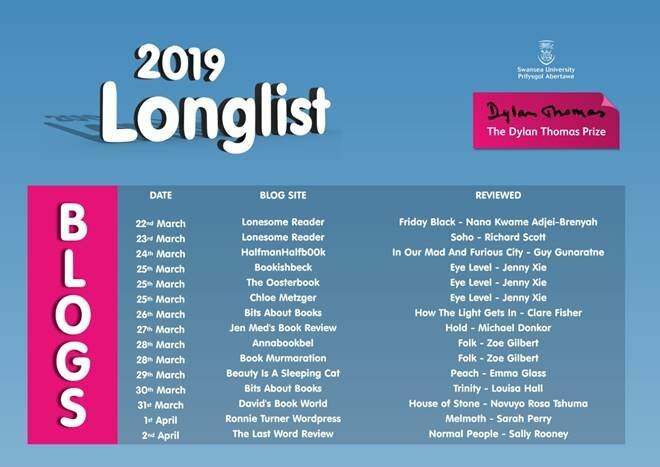 My post today is part of a blog tour for the Swansea University International Dylan Thomas Prize, which is awarded to a novel written in English by a writer aged 39 or under (39 being the age at which Dylan Thomas died). The a blog tour is looking at the books on the longlist. 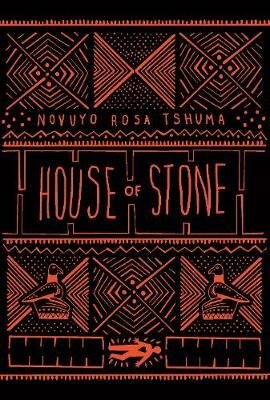 The book I’ve chosen is House of Stone, the debut novel by Zimbabwean writer Novuyo Rosa Tshuma. We spent the whole of yesterday seated in the sitting room, in a battle of wills, me trying to get [Abednego] to take just one sip of the whisky, he pursing his lips, glaring at the wall, willing Bukhosi to reappear, declaring himself to be mute unless the boy popped up abracadabra before his eyes, and snapping at me to shurrup when he I pleaded with him to continue with his story. Despite initial reluctance, Abednego does continue with his story, as does Agnes. Through their accounts, Tshuma explores the history of Rhodesia and Zimbabwe, while telling an intriguing family story. Zamani also has secrets of his own, adding up to a multi-layered and engaging book. Take a look at the other stops on the blog tour in the graphic above. The shortlist of the Dylan Thomas Prize will be announced on Tuesday 2 April. A crime novel set in Manchester in the aftermath of 1996’s IRA bombing, with a narrator involved in the city’s gangs. A portrait of 21st-century adolescence, by an author who was 19 at the time of publication. The correspondence between two pen-pals on the fringes of society, who find the stability of their lives under threat. A tale of siblings living in 1960s Zimbabwe, mixing folklore with a background of guerrilla war. The protagonist loses his wife in mysterious circumstances, then discovers around the house pieces of paper bearing threats – can he rely on his own mind? ‘A modern-day Romeo and Juliet’ set in Lagos, chronicling the romance between a wealthy girl and a boy from the slums. A wealthy New England family threatens to come apart at a wedding celebration. A historian’s assistant gets lost in a world of vice whilst working in Morocco. A collection from the winner of last year’s BBC Short Story Award. I loved his winning story back then. In case you haven’t heard me mention it before, this is one of my favourite books of the year so far. Wonderful to see it on the longlist. I think that’s a nicely broad selection. The Eames, Gray, Onuzo, and Wilson are the ones I most want to read personally, but good luck to all.